PP5200 Series, PowerPods for Power are a better option than bracket mounting. PowerPods provide a clean look for flush mounting with the advantage of a swivel base.The trunion bracket that is supplied with most electronics is not optimal. PowerPods have the advantage of protecting the back of the electronics from harsh saltwater spray. Most manufacturers do an excellent job of protecting the face of the display from water intrusion with sealed rubber push buttons. The back is generally not waterproof. 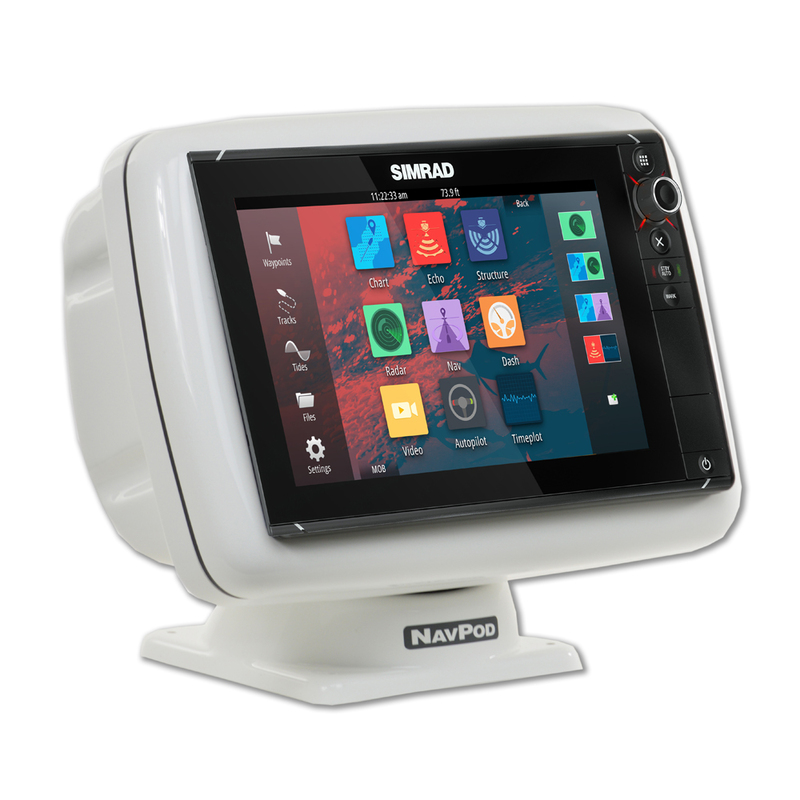 They are expecting you to flush mount it into the console or a NavPod. The PowerPod also protects the plastic connectors and wires from deterioration caused by long term exposure to UV.PowerPods for Sail are for mounting on a flat surface. Perhaps under the dodger or aft end of the cockpit table especially on boats with dual wheels.